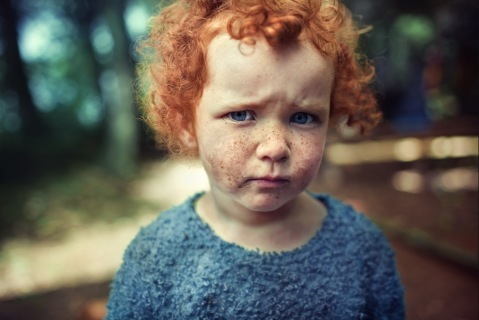 Benoit Paillé is a self-taught Canadian photographer and Art Director. In the shooting he prefers to use natural light, and then he improves and transforms the colors and the lights to get an eye-catching photo. Wonderful colours, compositions, striking, stunning, disturbing, purely and simply beautiful photos make you want more and more. Benoit chooses his models not for their physical beauty but for the emotional one. “The ugliness is metaphysically beautiful,” – he says. 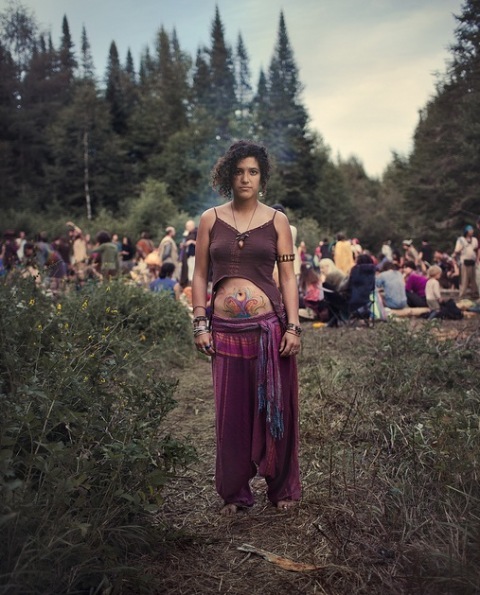 One of Benoit’s most famous projects is the “Rainbow Gathering Family” portrait series, shot at Rainbow Gatherings. 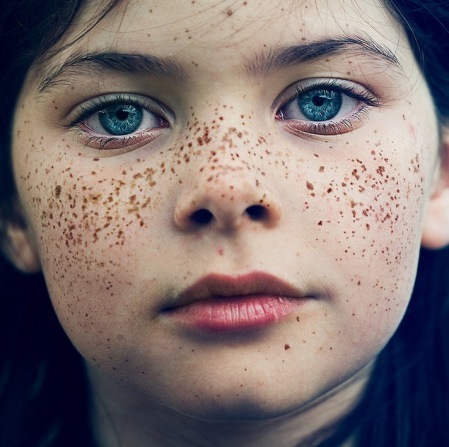 These portraits are very powerful, expressive and stunning. They definitely bring the nostalgia of the 1960s. 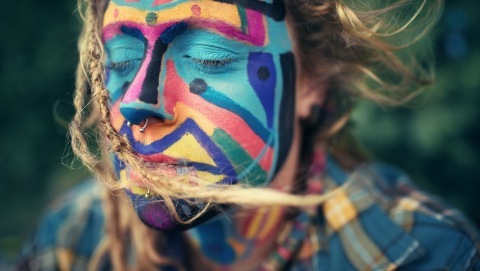 Rainbow Gatherings are community events typically held in open-air settings; a place where people practice ideals like peace, harmony, love and freedom. 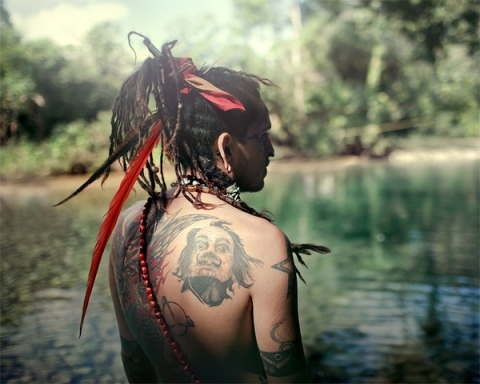 The first Rainbow Gathering was in 1972 and was started as an alternative to mainstream popular culture. In the United States, the annual event is held from July 1 through 7 on National Forest land. The best part is when everyone gathers in a large circle, and each of them prays silently for peace. 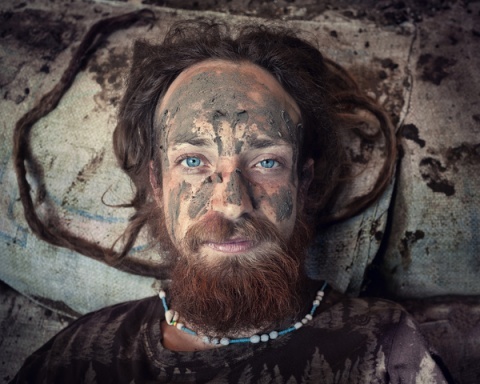 After going to Rainbow Gatherings for several years, Benoit Paillé got permission to take portraits of his “brothers and sisters.” So this is another reason that makes these photos precious. 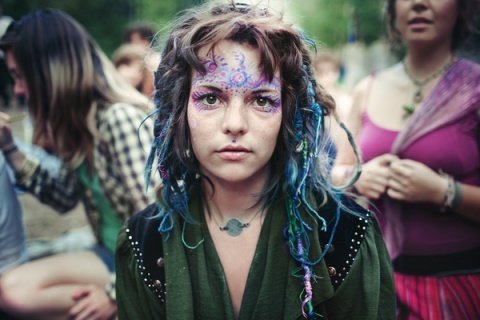 Over the last three years, he captured these moments at Rainbow Gatherings across Spain, Canada, and Mexico.